We always hope that rescue animals will move on to new homes once they are rehabilitated. Handicapped or chronically ill animals are harder to place, though, and that is why there are sanctuaries. These pets often have a shorter life span, but like all pets, they eventually grow old and then they die. Those of us who provide sanctuary know this, but it isn’t any easier for us when we lose these pets. 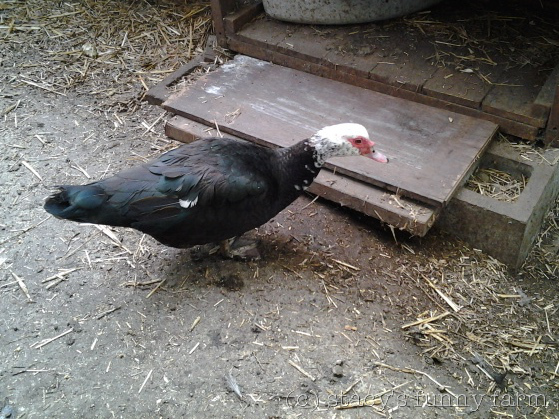 Ducks and Clucks is a rescue and sanctuary that used to be in Seattle but is now in Salt Lake City. There was a tragic loss there yesterday, but I thought I would first pass along this story about Lester Leroy, who also deserves to be remembered. I’m just going to show you a couple photos I stole from her, but you really should follow this link to Tiffany’s actual story. Lester Leroy got around pretty well after physical therapy. He came into rescue with an infected leg. 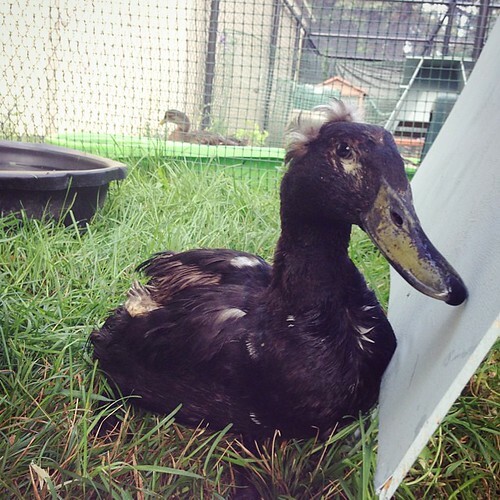 He managed to attract the attention of another handicapped duck named Danny girl. What a cute couple! Danny girl and Lester Leroy both needed help in and out of their pool. Not a big problem for a first class care facility. As Lester aged, the problems would come and go, but mostly he was happy to spend quiet days with Danny girl. Lester Leroy has left the room, but his story is a reminder that there are people who care, even about little lame ducks. That’s kind of nice, isn’t it? 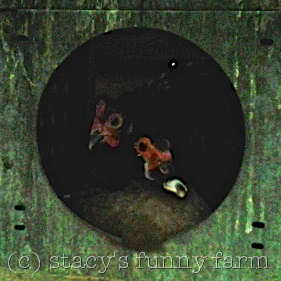 All photos by Tiffany Young, Ducks and Clucks.